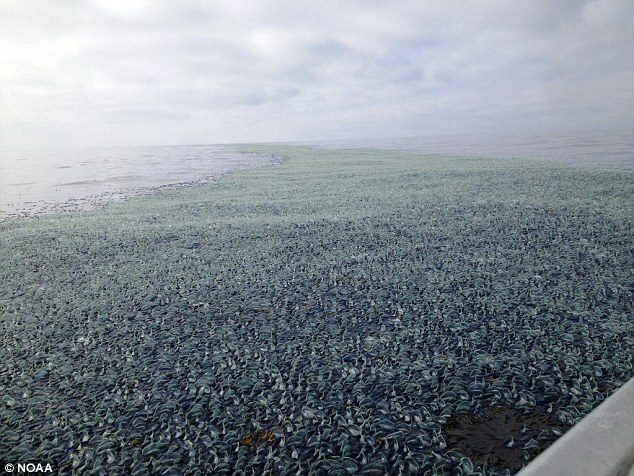 They say stranger things happen at sea, but it seems stranger things happen on beaches, too. 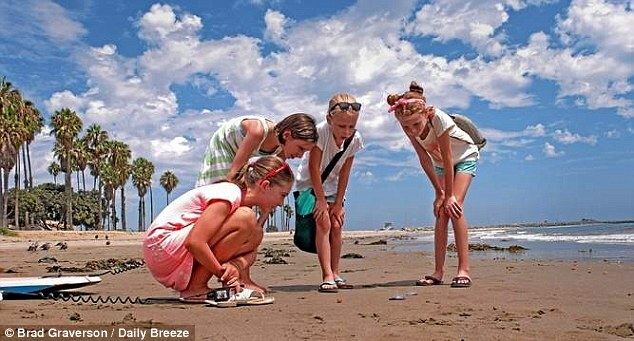 Billions of mysterious small creatures have been washed up on beaches along the west coast of the U.S, from Southern California to British Columbia. Needless to say, locals have been extremely curious about the invaders. 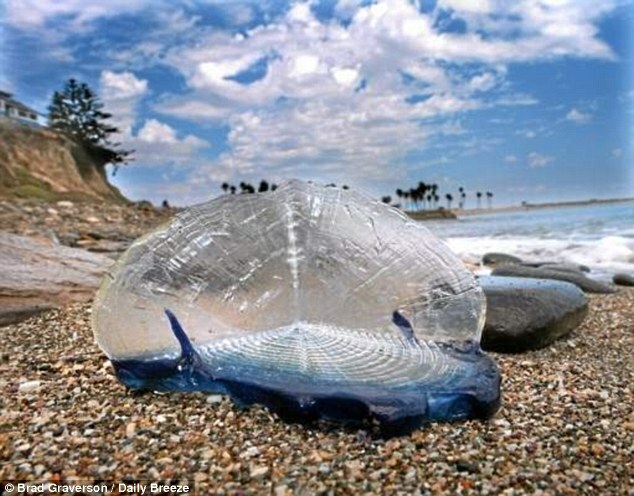 The creatures are known as ‘by-the-wind sailors’, or their scientific name of velella velella, according to the Daily Breeze newspaper in Southern California. The jelly-fish-like creatures each measure around seven to 10 centimetres, are bright blue and distinguished by a gas-filled float that rises above the surface of the water. This fin-like structure means that their direction of travel depends entirely on the winds and the currents. 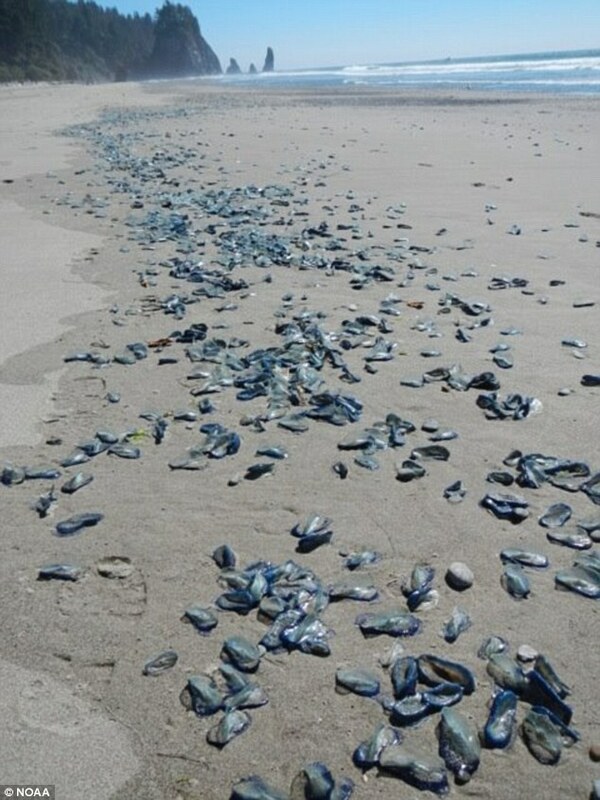 The number of velella that have washed up on North America’s beaches is staggering, with possibly billions stranded. Experts find the creatures perplexing as little is known about their true nature. The creatures are similar to jellyfish as they sting to stun their prey – though they’re not capable of causing humans much pain – and have a similar structure. They are sustained by feeding on animal plankton and drift around in huge flotillas which can contain millions of individuals. 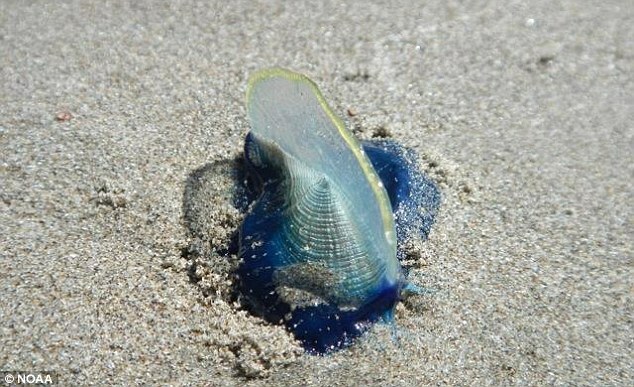 The creatures each measure around seven to 10 centimeters, are bright blue and distinguished by a gas-filled float that rises above the surface of the water. Travel guide Michael Ellis, writing in Bay Nature, said: ‘Even though velellas are very common and distributed throughout the oceans of the world, very little is known about the details of their life. ‘The reproductive polyps apparently bud off small medusae (miniature jellyfish-like structures) somewhere in the middle of the ocean. The medusae sink to depths of over 7,000 feet and grow gonads which produce sperm or eggs. Their stranding is thought to coincide with the warming up of coastal waters. DUH!!!! I DON’T SUPPOSE THAT ANY OF THE F**KING “EXPERTS” HAVE HEARD OF FUKUSHIMA, HAVE THEY? THE PACIFIC IS DEAD, LONG LIVE GENERAL ELECTRIC AND THE NUCLEAR POWER CARTELS.